Mendelson's Memos: Review: Cloud Atlas (2012) says little but does so beautifully. 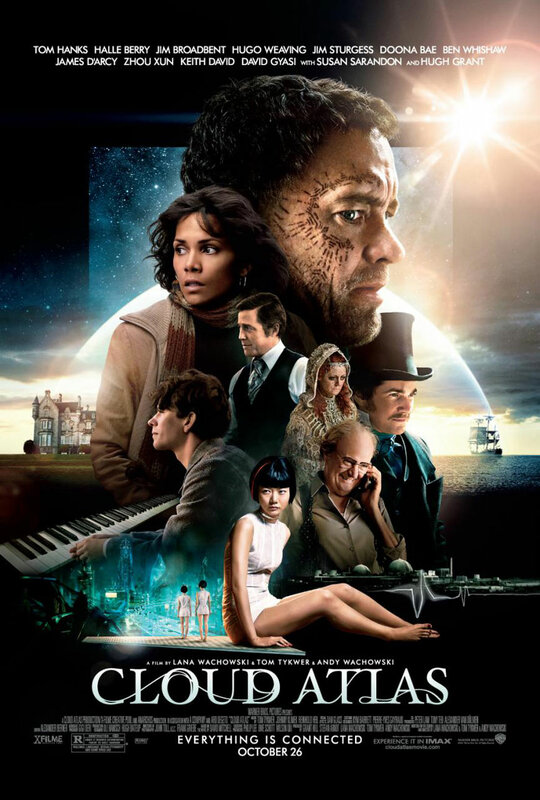 Review: Cloud Atlas (2012) says little but does so beautifully. At a glance, Cloud Atlas is exactly the kind of movie we say we want from mainstream Hollywood. It is a grandly ambitious and visually dynamic adventure story, filled with a parade of fine actors and often unexpected plot turns. It is a piece not about things but about ideas, delivered with high style and in a mostly entertaining fashion. But if I am honest with myself and with you, I must confess that the many nuggets of wisdom to be found in Lana Wachowski, Andy Wachowski, and Tom Tykwer's sprawling epic don't amount to much. There is little to challenge the mind and nothing beyond fortune cookie platitudes and the philosophy seems to explicitly apply to the main characters. But if the philosophy doesn't dig any deeper than "Everything is connected." or "What is an ocean, but a multitude of drops? ", the film is indeed a mostly entertaining piece of unconventional popcorn cinema. There is much to admire and appreciate in the world of Cloud Atlas, even if it doesn't amount to a hill of beans. In brief, Cloud Atlas spans 500 years and tells six specific stories over the course of human history. Based on David Mitchell's beloved novel, the film takes somewhat of a narrative shortcut in presenting these allegedly connected people by having the same several actors appear in the different stories through the course of the film. While this does arguably make the story more palatable for general audiences, it does cause several problems, such as the awkward sight of several very Caucasian actors playing Asian characters. Whether or not the 'yellowface' is balanced by Halle Berry playing a German Jew or Doona Bae playing a Caucasian is up to you, but I'll confess the fact that it didn't bother me all that much may merely be a form of white privilege. Hugh Grant suffers the worst, playing an American in one story with a pretty terrible American accent while playing an elderly man with a British accent clearly not his own in another. As the stories unfold, the best ones are the entries with a minimum of said artifice where actors just get to play characters without any gimmicks attached to them. Tom Hanks plays a role in pretty much every story, and he arguably delivers the most consistently solid performances of the bunch. Halle Berry shines in a 70s-set thriller but fares less well as a futuristic explorer from an advanced race of refugees. Jim Broadbant is wonderful in a present-day comic tale although the story itself turns overly farcical at the expense of its drama. Jim Sturges, Ben Whishaw, Keith David, and Susan Sarandon are a few among many who pop up in the various narratives, sometimes hidden behind rather extensive makeup and sometimes playing characters well outside their normal typecasting. It's an ambitious idea but one that I would argue proves a periodic distraction. 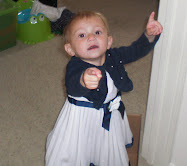 The stories themselves vary in quality and emotional impact. Every viewer will have their favorite. The future-set story set in 2144 Neo Seoul is simplistic but provides chilling imagery and some fantastic action sequences. Halle Berry's 1973 investigative story is the most down-to-Earth but contains some rather implausible behavior on the part of its antagonists (note - if you want to keep a conspiracy secret try not killing lots of people who will be missed). The first story, set aboard a ship involving a young attorney and a stowaway slave is memorable only for Tom Hank's lip-smackingly villainous turn. Ben Whishaw anchors the 1936 Scotland-based segment involving a young composer and his attempts to create a musical legacy. The final story, set in what is apparently a post-apocalyptic Hawaii in 2321, should be silly but is anchored by a painful and powerful performance by Tom Hanks as a goat herder who helps Berry's emissary find something of importance. All of the stories are filled with examples of unexpected kindness and unexpected cruelty. I'd argue against the notion that we're really supposed to learn all that much from them, but they entertain, thrill, and amuse nonetheless. That Cloud Atlas isn't as advanced in its thinking as it wants to be is arguably what prevents it from reaching true greatness. The film is indeed a powerful and engaging piece of filmmaking, once again proving that the Wachowskis (along with Tom Tykwer) are among the most ambitious new-wave filmmakers to emerge out of the late-90s new wave. This is the kind of film that should be seen and supported on principle, even if it isn't as good as it arguably should have been. If its philosophies had been a bit more complex and its stories more consistently engaging (and, arguably, it's overlong running time trimmed down just a bit), it could have reached the high-water marks that it is clearly striving for. It is a visually glorious and occasionally powerful achievement that, if possible, should be seen in its IMAX format. To use a cliche suited to the film, Cloud Atlas reaches for the moon yet ends up in the stars. But what beautiful stars they are. While I agree with you on many of your points surrounding the casting choices, I have to disagree on the overall message the film is trying to propagate. Essentially, I love the film for the very reason you are (and I know this is too harsh a term) condemning it. The film is vast and expansive, but it also makes no pretensions to being more than a series of beautifully simple stories interweaved to create a rich tapestry of lives lived throughout history. For me, the film's simplicity is its greatest asset. To bog it down with needlessly complex philosophy might have robbed the story of its simple pleasures and of its wonderful character moments (see Matrix Reloaded for evidence of this phenomena). I think we can both agree that these three filmmakers are visual storytellers, and while the writing may sometimes suffer from overstating some pretty obvious themes (I'll concede to "drops in the ocean"), the film's attention to visual detail is what gives it its existential heft. We might be purely falling into the subjective here, but way in which this film comes together at the end is nothing short of masterful, and evokes in me many ideas and emotions not expressed in the script.